Q: Thank you for agreeing to this interview as our resident music buff… Tell us about your first album? Q: As a leader in an art consultancy firm and a music aficionado, what are your thoughts on the intersection between art + music? I love both art and music because they each foster a medium of connection between people. If done well they can inspire more passion in people than almost anything else. If you’ve made it as an artist in art or music you’ve been able to carve your own path in creativity and I have a huge amount of respect for that. Q: Who are your favorite artists? What artists/works would you have in your dream collection? I was just thinking of visual artists, if you need music artists too I may be here for days! Q: If you were hosting an art + music dinner party for 6 people – who would you invite? Q: How would you describe your aesthetic & musical preferences in 3 words? Jason Fiore: Art: Alluring, distinctive, street. Music: Melodic, rich, strong beats (extra word!) Or for both: Good, visceral, reaction. Q: I’ve noticed that you tend to play EDM music when you’re focusing, can we talk about that? Jason Fiore: I like listening to electronic music when I need to focus on a task because the ambient noise helps me to more easily get into the flow for some reason. I just need to remember to turn it off before my Zoom calls start! 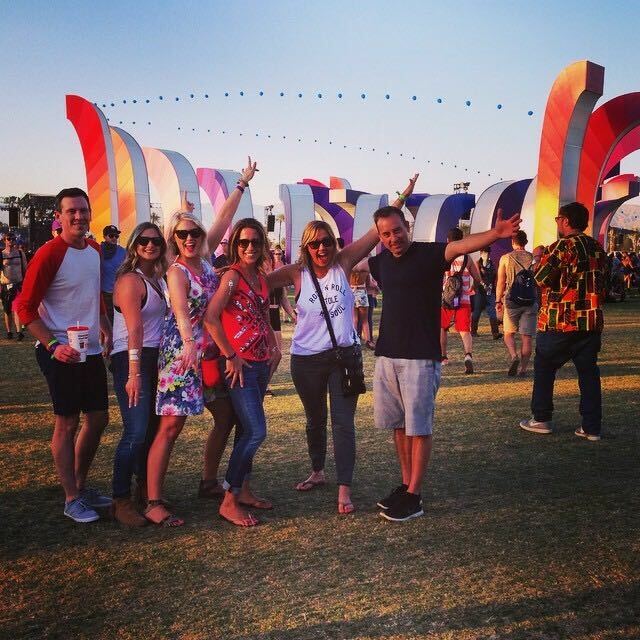 Q: What was the best music festival you’ve experienced? 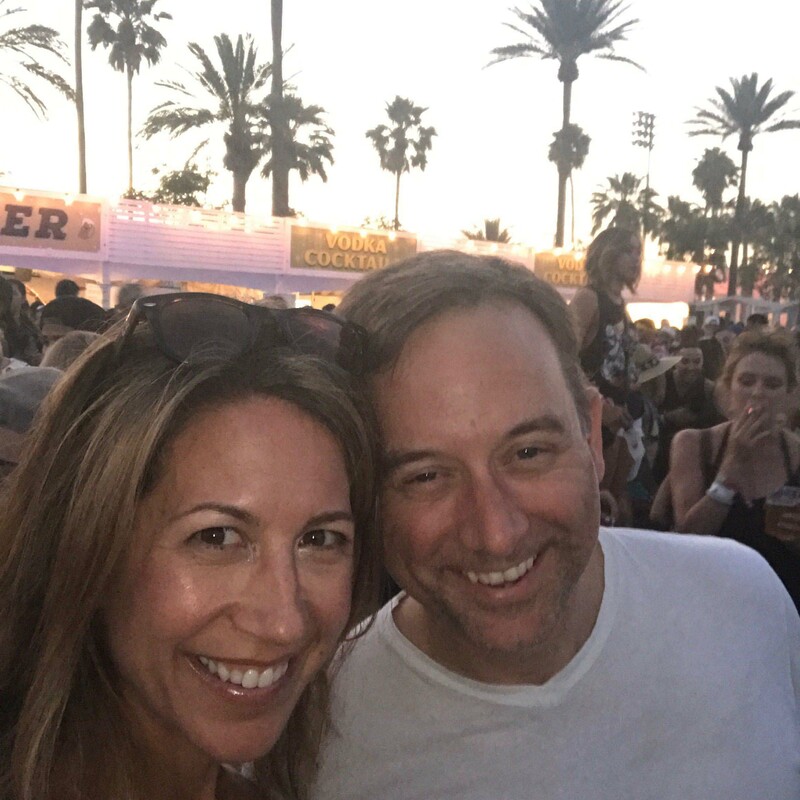 Jason Fiore: I’ve been to Coachella 16 times; that is my all-time favorite festival. Many great memories of bands and experiences with friends have been formed over the years. With that caveat in mind, my favorite single festival experience happened at Bonnaroo. 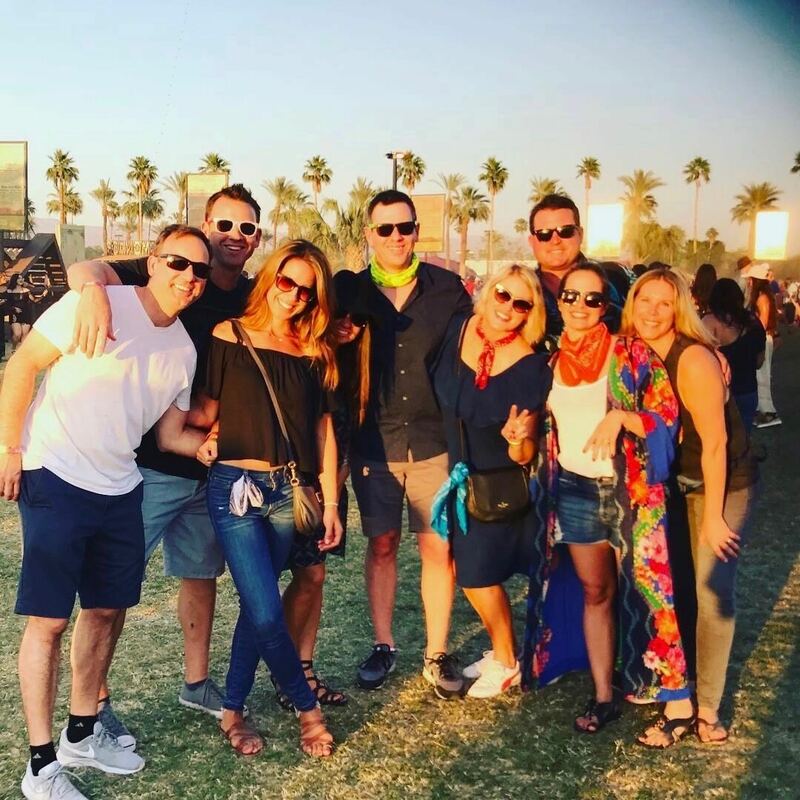 My good friend worked for Napster at the time who were sponsors of the festival that year, so we had anywhere access over 3 days and it was magical. Highlights included sitting up on the main stage rafters, having lunch with Bela Fleck and being invited to come on stage and drink beers from the artist stage cooler by Sasha’s tour manager while Sasha played a late night set to thousands of people. 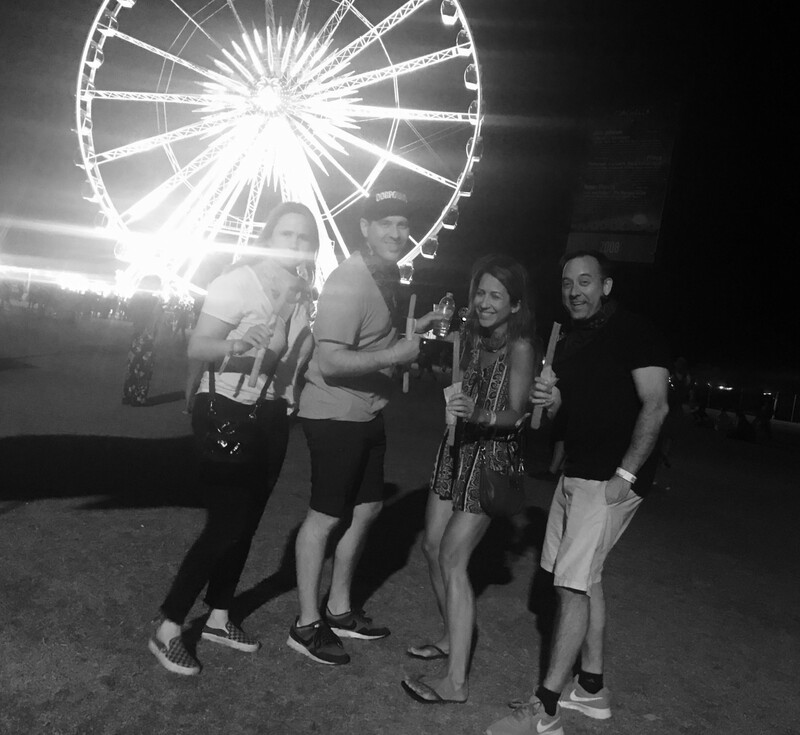 Bonus: Photos from a few of Jason’s 16 trips to Coachella!